This episode of Myne Whitman Presents is a short story by Makuochi, a young writer, and a graduate of the University of Nigeria, Nsukka (B.sc). He loves Music, Dance, Arts and Nature. He blogs at www.sugarabc.blogspot.com. His literary works has been published both on print and online media including Naijastories.com. .
Below is his haunting story of a blind young girl and her experience of love. The first time he sent it to me, it was unedited, filled with typos and I stopped reading by the second paragraph. I told him my impressions and he apologized and promised to work on it. This final version is not perfect by any means but I got the story. I loved how the writer let out the details slowly and pulled me along as I read. Pardon me for not updating lately; I’ve been very busy recently, rehearsing my keys for my live performance with Asa. Today is a memorable day for me and I have promised myself that I must tender you my story in shorthand. Today makes it exactly one year that I met Ifeanyi. I still remember vividly that very morning, I woke early and while I had breakfast I overheard Ellen DeGeneres talking on the television, excited about the coming holiday- St. Valentine’s Day, she was talking about how valentine comes with magic. She spoke so convincingly that I believed her. I went to school that morning expectant; I had been infected with Ellen’s excitement. I waited for the magic, but nothing came. Nothing spectacular happened. Nothing magical, except for a rather strong, strange smell in class. Amidst all the perfumes and scents in class. I could perceive a difference. This scent was strong, manly and well, very angry. I loved it because it was a mystery for my nostrils to interpret. From it, I knew one sure fact; that someone me had joined our class that day. I heard it was a boy. The smell lingered on for days till the point, where it even became my motivation for school. I loved it, I cherished it, and I adored it. I wanted it more and more. Memories of the smell followed me home and kept me company. Days passed but I never spoke with the new boy. Sure I knew he was the origin of this new scent, the one wearing the perfume but I chose not to speak to him. It was two days to Valentine and I was wondering what all the vain noise was about. I wondered what a disobedient prisoner had got to do with flowers and roses and candles and chocolates. Fact is, the thought was rather funny to me. You see, I don’t believe in love; at least not in this world. Having been born blind, I have come to know life is not a fairytale where love exists. There’s no Prince Charming, there’s no fairy godmother and there’s no love. All there is are confused emotions of lust, attraction, desperation and pity. In all seventeen years of my life, people always view me through the eyes of pity disguising and confusing to be love. They are constantly trying to help and when they want to talk about me, they use the most polite of terms such as “visual impairment” and other funny phrases when they can just say blind and save themselves the stress. They make the word ‘blind’ seem like a taboo. Oh, sorry I’m drifting but being blind has given me abilities those who can see do not possess. I smell lies; I know the tone of lies. Most times when I listen to people say “I love you” on the television or in reality, I know when they are lying and oft times, 99% of the times, my guesses are right. Well, dear diary, this is the story of how I discovered the “unrealistic” 1%, in the statement “I love you”. Last year, on Valentine’s Day after I had made up my mind to not join everybody in the madness, I decided to go to the only place where madness don not exist. I went to church, the Sunday school children’s class precisely. I spent my Valentine’s Day in church playing piano for the kids as they celebrated the valentine service; I was told everyone was dressed in red apart from Windy who was dressed in black. The kids sang beautifully in A-minor and I remember playing my favourite songs including my favourite hymn “Amazing Grace” with that soul-comforting line ‘...once was blind and now I see’. After service, while we packed up our instruments, something unbelievable happened. That familiar smell from school, that angry perfume saturated the air around me. I heard footsteps approach me from behind and then a tap on my shoulder definitely from the owner of the hand. Then a voice said, “Hi, I’m Ifeanyi and I enjoyed your performance. You really make magic with the piano.” I smiled and put the voice together with the footsteps and the scent. “Thank you Ifeanyi, my name is Ebere, it’s nice meeting you...” I said. Before I could go further to confirm if it was the same familiar smell at school, mom came and took me away; it was time to go home. “Excuse me please, where can I meet Ebere now, I need to meet with her”? I speedily replied, “I am Ebere, is there a problem”? He said a hasty no. In ten minutes, we were sitting and talking. I asked about him and knew why he’d missed school; he’d gone for his eye check-up. Till date, I have not discovered what it was with me and the perfume but all I know was that I loved it and that it made me happy. Recess came and through it all, I was with Ifeanyi. We talked about almost everything there was to talk about and we had a lot in common. We both preferred Pepsi to coke, liked rock music, the smell of dust in the rain, we both wanted to be musicians when we grew up, we’d never been kissed, we share the same zodiac sign and a whole lot more. We spent recess in the music room and that day I discovered that “unrealistic 1%”. I knew I had found love, I touched it, I spoke with it. We even sang together. Ifeanyi’s voice was heavenly; I melted when we sang and played Phil Collins’s “Another Day in Paradise”. I remember how I fought the tears bursting through my eyes and how the more I fought, the more it came running and rushing down my cheeks, dropping profusely on the piano keys. Through it all I nursed my feelings for Ifeanyi and told no one. Music is my idea of heaven, since my imagination cannot phantom colours, I don’t know what the colour white looks like or gold or understand the idea of the clouds or what it looks like. But that very day, I went to heaven, I walked on the streets of gold, I danced in the clouds. When recess was over, I wished we never went back to class. After that day, we became best of friends and my school, Rosa’s School for the Blind became paradise for me. I found a reason to be happy, a reason to anticipate school and we always spent our free time together in the music room. Ifeanyi had low vision, he wasn’t fully blind and as he explained once, the condition had developed after a severe illness the previous year, he always told me I smile lovely. Though everyone tells me that, I thought his was different and sounded genuine, I was told I smiled the most, and looked the best in our family picture. Ifeanyi used to visit our house every weekend and we’ll play the piano and teach each other new stuff every day. All my life, I had depended on other people’s judgement and opinions; I was told trees are green and roses are red and the oceans and skies are blue. I was told mirrors reflect images but right now, there is one thing I need no one to tell me. I know what I’m feeling is not just something ephemeral. Exactly two weeks after valentine, Ifeanyi wrote something for me in Braille. I was afraid to read it. I hesitated and after much self-persuasion, I read the note. Lo and behold, my fear arrested me. He’d written boldly: I Love You. I was then sure this was love; I knew this was the 1%, Ifeanyi was my eyes, and he made life worth living. 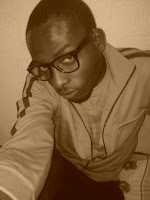 My love for Ifeanyi was blind, it couldn’t see, it didn’t know if he was tall, dark and handsome or the very opposite. It believed, it saw more than the physical, it looked within and it didn’t care. I’ve never dreamt since I was born, but with Ifeanyi, I know I am dreaming even when I’m awake. Well that was last year. This year’s Valentine is almost here and I’ve not heard from Ifeanyi. We dated out up till December when he left our school after the ophthalmologist had said his eyes were good, so much better but too bad he left without saying goodbye. Dear diary, every day I wait, I crave, I sniff...but that familiar smell is not coming back and that’s why I cherish the red sweater in my wardrobe. I’ve not washed it for one year now and I’ve been fighting the gradual but inevitable fade of the perfume. 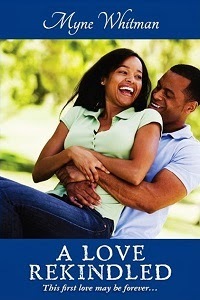 Ifeanyi’s scent buried within yarn, trapped in the woven wool; that’s my valentine, that is my heaven. Right now, I believe in love because I met love, I touched love, I sang with it and I smelt it. It smelt manly and strong and it smelt angry.